A studio portrait experience and framed desk portrait worth £175. These vouchers are valid for a family portrait experience at our studio, including a bespoke cinematic viewing experience. 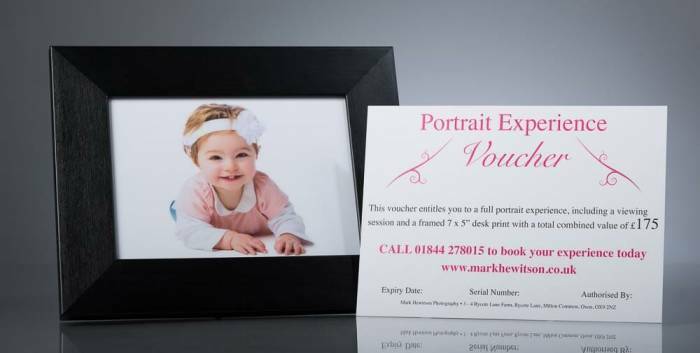 Also included is a beautifully framed 7×5″ desk portrait of your favourite image worth £75. Total combined value of this voucher is £175. Voucher is valid for 90 days from the date of purchase. The image at top of the page for illustration purposes only, vouchers will be emailed to you upon purchase.